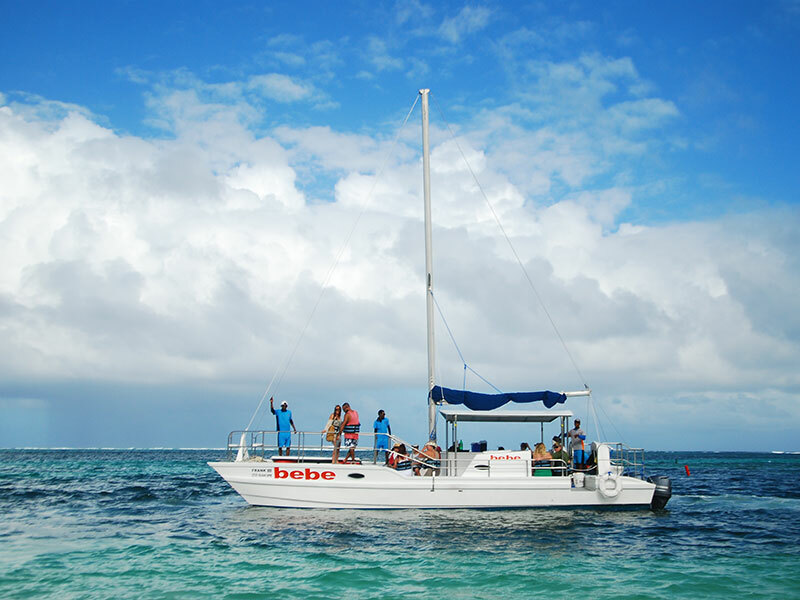 At 40 feet our Bebe Cat is for those who want to move! With capacity from 25 to 50 persons, we trade the front netting for flooring. What does that mean? Space to dance! And it’s dual haul structure ensures a smooth ride while you try out your Latin moves. But there’s something for everyone on Bebe. For those who simply want to lay back, enjoy a shaded area with comfy seating. 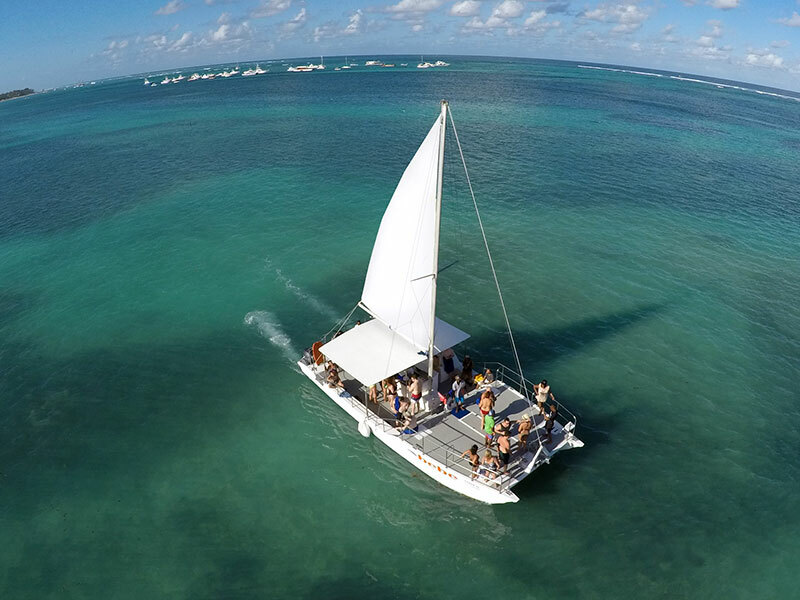 The boat is also equipped with a bathroom and bar area. We’re not sure which is more important! 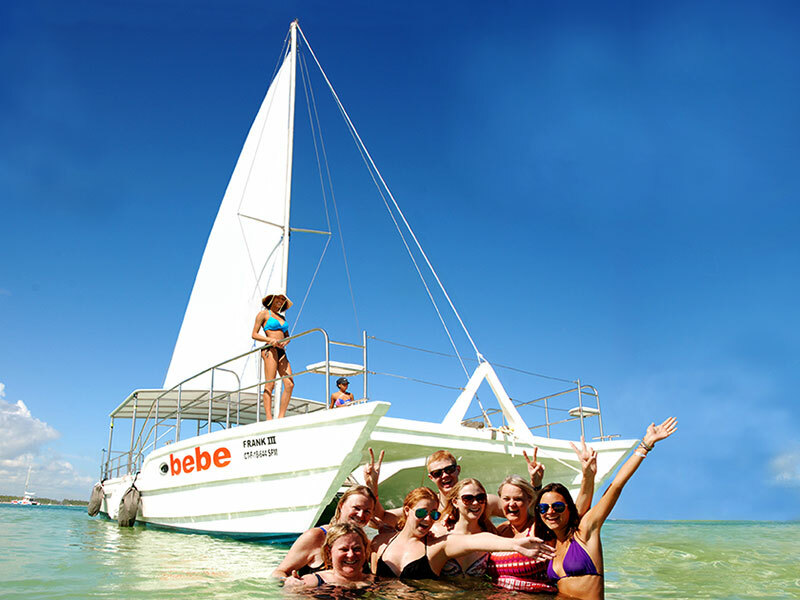 You can charter the Bebe Catamaran or sail with others.